ABOUT PAINT is opening at the Carl Berg Gallery in West Hollywood tonight with a special reception from 5-8pm. This group show will be up through March 4, 2011. 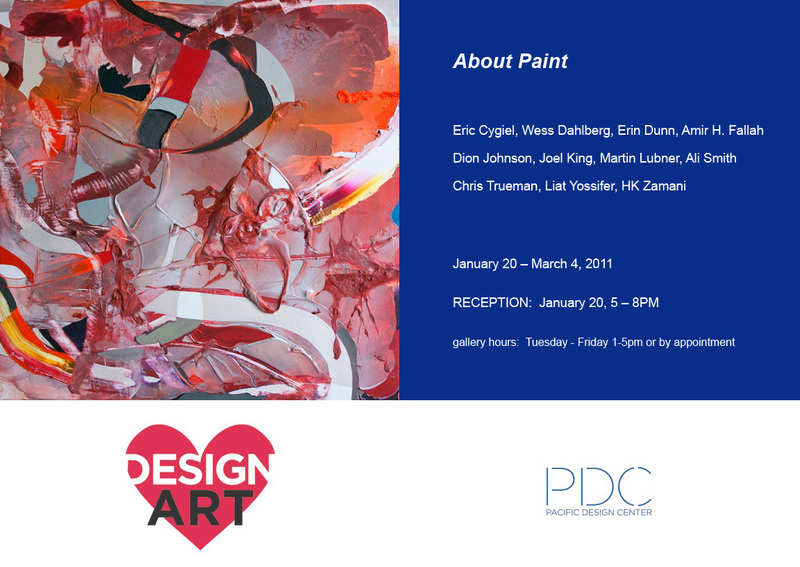 Carl Berg Gallery is located at the PACIFIC DESIGN CENTER 8687 Melrose Avenue B266, West Hollywood, CA 90069.